The Texas Retired Teachers Association says it does not endorse any of the controversial budget amendments filed by freshman House Republicans that would put more money into the teachers' health insurance fund. The Texas Retired Teachers Association has something to say to a group of freshman House Republicans hoping to put millions of extra dollars into health care for retired teachers: thanks but no thanks. 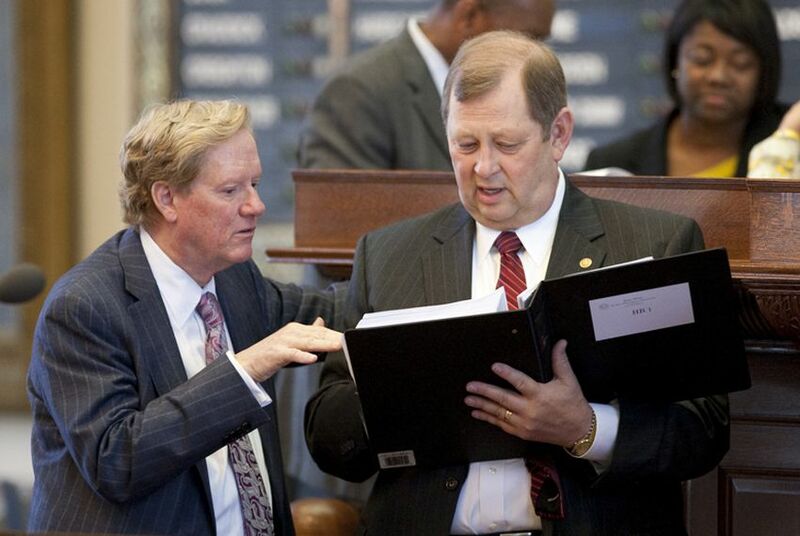 The Texas House is scheduled to tackle a $193.8 billion budget bill Thursday. About a dozen House freshmen have filed more than three dozen amendments that would defund various state programs and shift the money to TRS-Care, the Teacher Retirement System’s retiree group health insurance plan. The Republican lawmakers have said the amendments are a coordinated campaign to attempt to end programs they don’t see as essential government services and to shine a light on funding issues with TRS-Care. TRS-Care is projected to have a $1.2 billion shortfall in the 2016-17 biennium, according to a September report by the Teachers Retirement System. On Thursday, the Texas Retired Teachers Association sent a letter to House members saying that the group only endorses two of the 267 pre-filed budget amendments, neither of which are from the band of Republican freshmen who have centered their efforts on shoring up TRS-Care. The group endorsed an amendment by state Rep. Bennett Ratliff, R-Coppell, that would direct a certain class of leftover state funds called “settle-up dollars” to TRS-Care. The group also endorsed an amendment from state Rep. Jim Keffer, R-Eastland, that would increase the state’s contribution rate to the Teacher Retirement System if related legislation passes. On all other amendments related to TRS-Care, TRTA urged House members to follow the lead of House Appropriations Chairman Jim Pitts, R-Waxhachie, and John Otto, a Dayton Republican and the point person on education on the appropriations committee. The letter could potentially defuse debates Thursday on each of the approximately 37 amendments filed by the group of freshman Republicans.